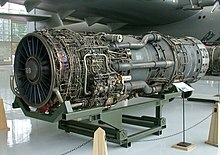 The Pratt & Whitney J58 (JT11D-20) turbojet aero engine, which had a specific fuel requirement; namely JP-7 turbine fuel. Turbine Fuel, Low Volatility, JP-7, commonly known as JP-7, was referred to as Jet Propellant 7, to MIL-DTL-38219 is a specific jet fuel that was developed for the United States Air Force (USAF), for use in its supersonic military aircraft that required a jet fuel with a high flash point, and high thermal stability. JP-7 is the fuel that was developed, which was required by the Pratt & Whitney J58 (JT11D-20) turbojet engines, which was used primarily in the now retired Lockheed SR-71 Blackbird. During flight, the SR-71 could attain speeds in excess of Mach 3+, which was the most efficient cruising speed for the J58 engines. However, very high skin temperatures are generated at this speed due to friction with the air. A new jet fuel was needed that was not affected by the heat, so JP-7 jet fuel was developed for this purpose. The Boeing X-51 Waverider also uses JP-7 fuel to run the Pratt & Whitney SJY61 scramjet engine, with fuel capacity of some 270 pounds (120 kg). As with the SR-71, the X-51A design super-cools this fuel (cooled by extended subsonic flight in the stratosphere; prior to acceleration to supersonic speeds); then, when in supersonic flight, the fuel is heated by its circulation through heat exchangers which transfer to it the heat load of the interior spaces of the airframe. The fuel is then pumped through rotating mechanical parts of the engines and auxiliary mechanical equipment, providing both lubrication and cooling. Finally, at a temperature of nearly 550 °F (290 °C), it is pumped into the fuel nozzles of the engines. JP-7 is a compound mixture composed primarily of hydrocarbons; including alkanes, cycloalkanes, alkylbenzenes, indanes/tetralins, and naphthalenes; with addition of fluorocarbons to increase its lubricant properties, an oxidizing agent to make it burn more efficiently, and a caesium-containing compound known as A-50, which is to aid in disguising the radar and infrared signatures of the exhaust plume. The SR-71 Blackbirds used approximately 36,000–44,000 pounds (16,000–20,000 kg) of fuel per hour of flight. JP-7 is unusual, in that it is not a conventional distillate fuel, but is created from special blending stocks in order to have very low (<3%) concentration of highly volatile components like benzene or toluene, and almost no sulfur, oxygen, and nitrogen impurities. It has a low vapor pressure, and high thermal oxidation stability. The fuel must operate across a wide range of temperatures: from near freezing at high altitude, to the high temperatures of the airframe and engine parts that are being cooled by it at high speed. Its volatility must be low enough to make it flash-resistant at these high temperatures. The very low volatility, and relative unwillingness of JP-7 to be ignited, required triethylborane (TEB) to be injected into the engine in order to initiate combustion, and allow afterburner operation in flight. The SR-71 had a limited capacity for TEB, and therefore had a limited number of available 'shots' of TEB (usually 16) for re-starts, and those had to be managed carefully on long-duration flights with multiple stages of relatively low-altitude air refueling and normal high-altitude cruise flight. "The operating envelope of the JT11D-20 engine requires special fuel. The fuel is not only the source of energy but is also used in the engine hydraulic system. During high Mach flight, the fuel is also a heat sink for the various aircraft and engine accessories which would otherwise overheat at the high temperatures encountered. This requires a fuel having high thermal stability so that it will not break down and deposit coke and varnishes in the fuel system passages. A high luminometer number[nb 1] (brightness of flame index) is required to minimize transfer of heat to the burner parts. Other items are also significant, such as the amount of sulfur impurities tolerated. Advanced fuels, JP-7 (PWA 535) and PWA 523E, were developed to meet the above requirements." Shell Oil developed JP-7 in 1955. Company vice president Jimmy Doolittle arranged for Shell to develop the fuel for the Central Intelligence Agency (CIA) and United States Air Force's (USAF) secret Lockheed U-2 spy plane, which needed a low-volatility fuel that would not evaporate at high altitude. Manufacturing several hundred thousand gallons of the new fuel required the petroleum byproducts Shell normally used to make its Flit insecticide, causing a nationwide shortage of that product that year. ^ Note that a high luminometer number corresponds, somewhat counter-intuitively, to a low brightness for a given amount of heat generated. Therefore, a high luminometer number means that, for a given amount of energy released in combustion, more of the energy goes into heating the gas, and less into heating the surrounding structure through radiative transfer, than would be the case for a low luminometer number fuel. But this does not say anything about other mechanisms of transfer, e.g., diffusive transfer, which may be greater or lesser. ^ a b c SR-71A Flight Manual (U), Issue E, Change 2. SR-71.org. SR-71 Online - Paul R. Kucher. 31 July 1989. Retrieved 17 June 2017. ^ "ASSIST Quick Search, Basic Profile: MIL-T-38219D Military Specification, Turbine Fuel, Low Volatility, JP-7". DLA.mil. DLA Document Services. 21 August 1998. Archived from the original on 22 February 2012. ^ "Factsheets: X-51A Waverider". AF.mil. U.S. Air Force. 23 March 2011. Retrieved 17 June 2017. ^ "X-51 Waverider makes Historic Hypersonic Flight". ScientificComputing.com. Scientific Computing. 28 May 2010. Retrieved 17 June 2017. ^ Gregory W. Pedlow; Donald E. Welzenbach (1992). The Central Intelligence Agency and Overhead Reconnaissance: The U-2 and OXCART Programs, 1954-1974 (PDF). GWU.edu. Washington DC: History Staff, Central Intelligence Agency. pp. 61–62. Archived from the original (pdf) on 22 April 2016. ^ Bachman, K.C. (1961). "Relation of Luminometer Number to Molecular Structure and Smoke Point". Journal of Chemical & Engineering Data. 6 (4): 631–634. doi:10.1021/je60011a045.